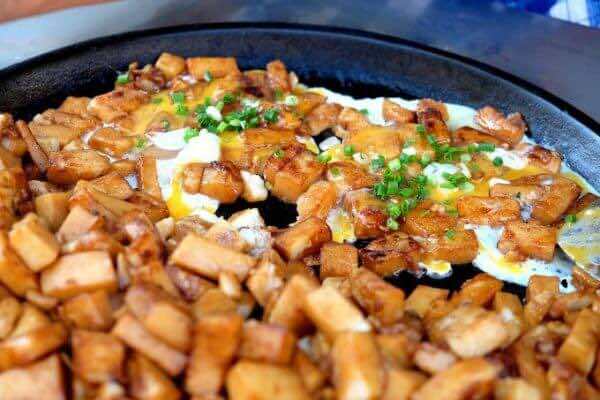 The phrase “street food”often conjures up images of strange meat and indecipherable signs in faraway lands, but it’s also known as being regional, cheap, and easy to eat. Traveling often as a vegetarian isn’t always simple, but sniffing out the best non-meat street foods has been wildly satisfying, especially while traveling with carnivorous companions who seem to stumble upon new culinary adventures around every corner. 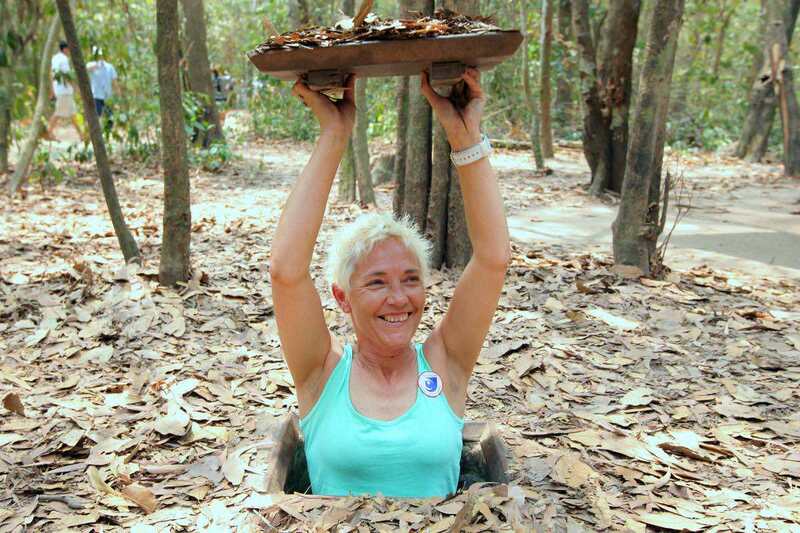 Some have been so difficult that they have ended up eating salad and fries for days. 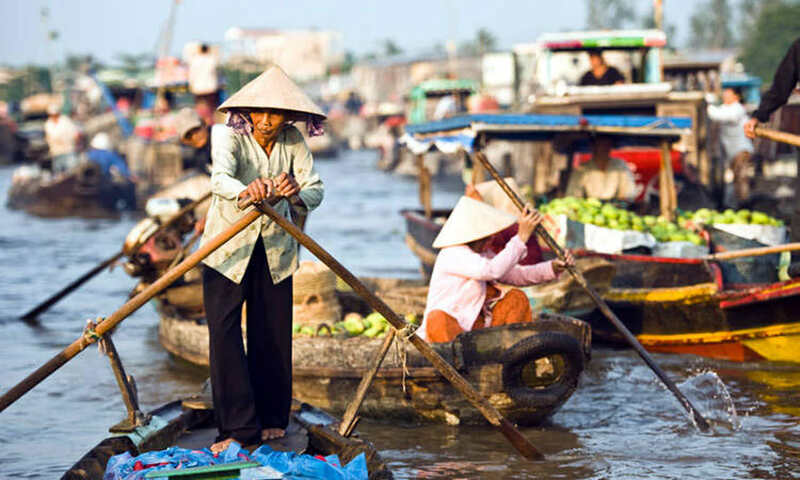 Some countries and cities are friendlier to vegetarians than others, hunting for street food can be especially tricky for vegetarians, Vietnam is no exception. What comes to your mind when you think of Vietnamese street food. 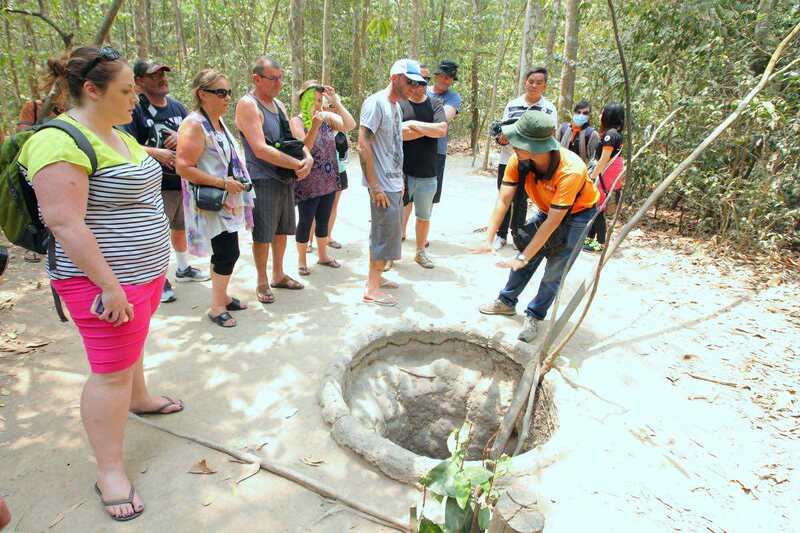 Not only did President Barack Obama sample some of Vietnam’s finest local food in Vietnam, but a great deal of travelers also tried and had the same idea with him. 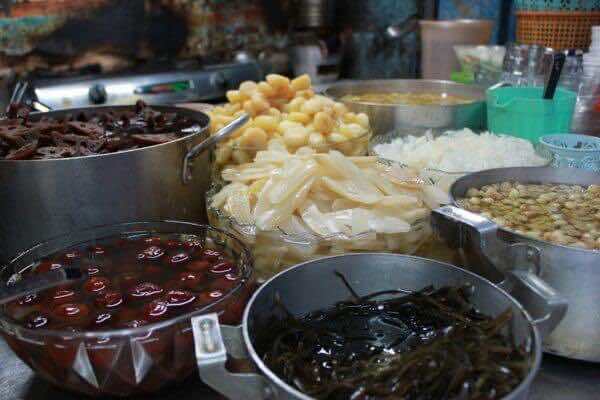 Here is where our Vietnamese street food guide for vegetarians comes to the rescue, to help you choose between street food paradise of all colors, shapes, and sizes. Xoi Bui Thi Xuan – 111 Bui Thi Xuan, Pham Ngu Lao Ward, District 1, HCMC. Xoi Binh Tien – 88 Minh Phung, Ward 5, District 6, HCMC. Perhaps the oldest dedicated veggie house in Saigon is Phap Hoa in District 1. Here you will find mountains of mock meat, faux fowl, and fake fish. This restaurant specialises in making tofu look and taste like anything in the world but tofu. 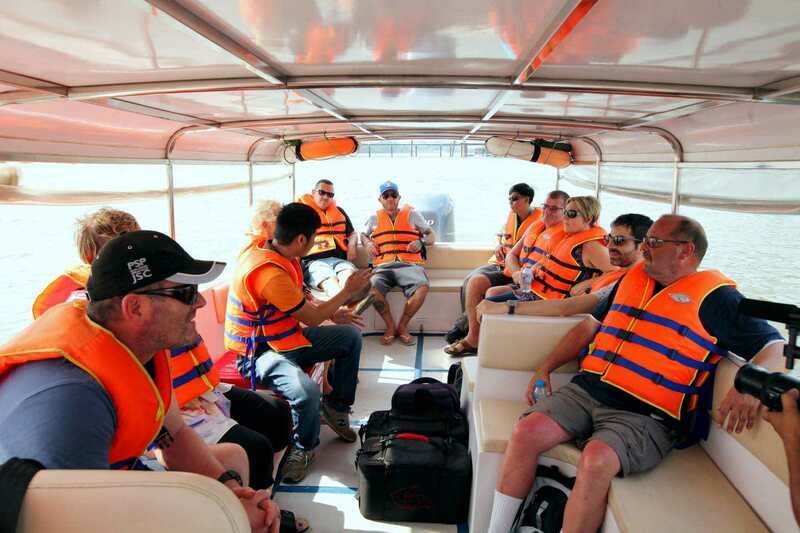 It can look like a shredded chicken breast, skewered beef, mushrooms, imperial rolls, a fillet of fish or a duck breast. It is all very tasty counterfeiting. 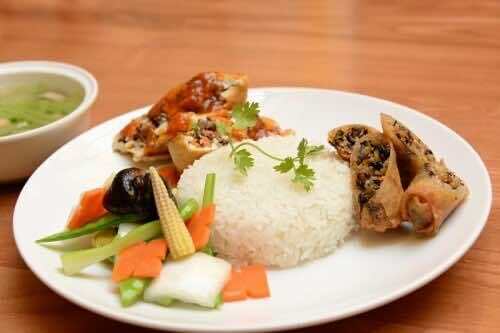 All the dishes are Vietnamese, using only local ingredients. And many of the recipes come from customers. They are encouraged to give suggestions for their favourite dishes or for the new ideas. 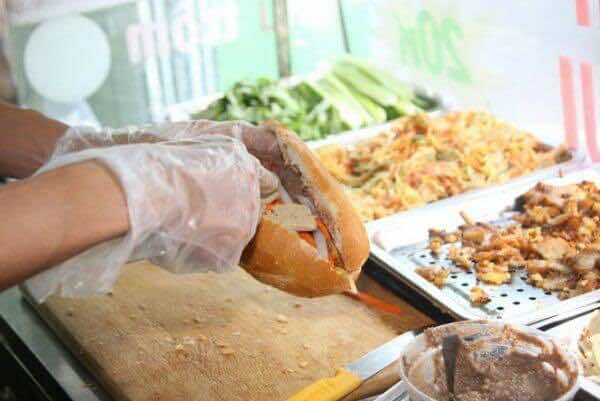 It you’re planning on traveling to Vietnam, the one sandwich you will hear about and will not want to miss is the Banh Mi. This iconic sandwich has been consistently ranked as one of the best sandwiches in the world. Vietnamese have made it their own by adding whatever they could think of into it: meats, pickled veggies, herbs, pate, mayonnaise, eggs, cheese, sausages. 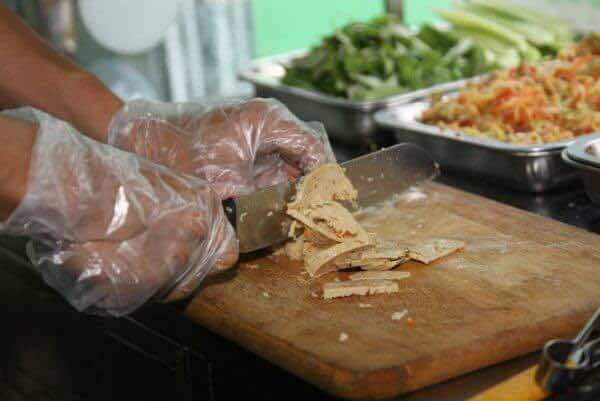 But you will definitely be able to find a few food stalls with a veggie option. Banh mi chay Tuy Duyen – Q22 Nguyen Huu Hao, Ward 6, District 4, HCMC. 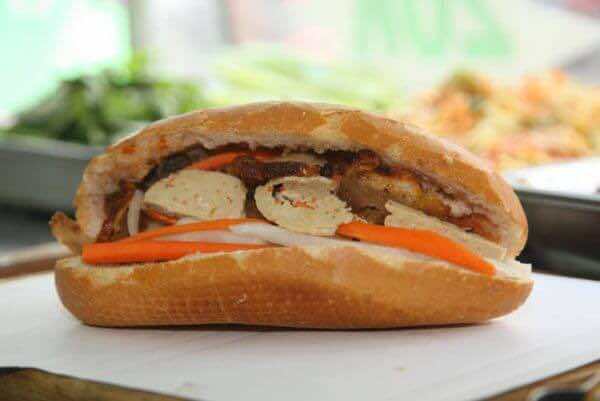 Banh mi chay Thoi Ke – 172 Ba Hat, District 10, HCMC. 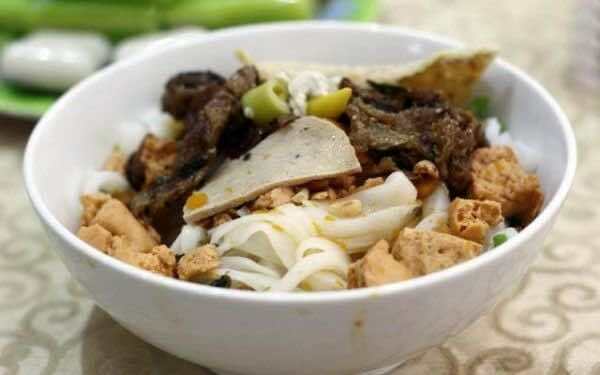 Among the munchies in Saigon, bot chien is found on almost every street corner come sun down. 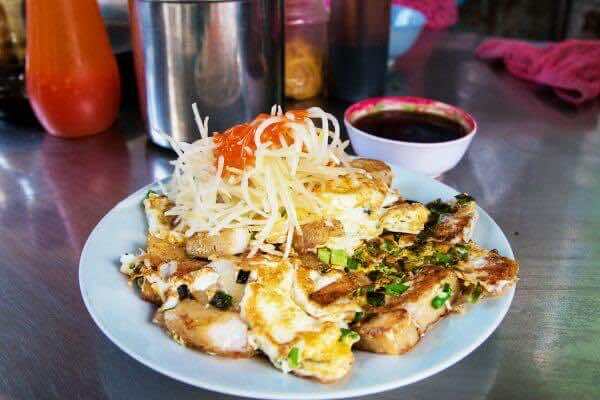 Bot chien starts off as a scrambled mess of one or two eggs and fried rice flour cakes, pre-marinated in a secret sauce. 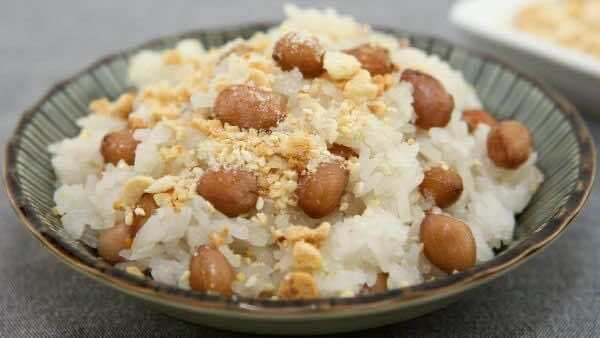 The result of bot chien are little bite sized nuggets of crispy sticky rice flour, enriched with egg, and with a nice smoky flavor. A smattering of shredded turnip is then added to the batch and garnished with chopped green onion before being delivered to your table, where you then have the option too top it off with shredded young papaya. Bột chiên – 190 Hai Thuong Lan Ong Street, Ward 24, District 5, HCMC. Bột chiên – alley 109 Nguyen Thien Thuat, District 3, HCMC. 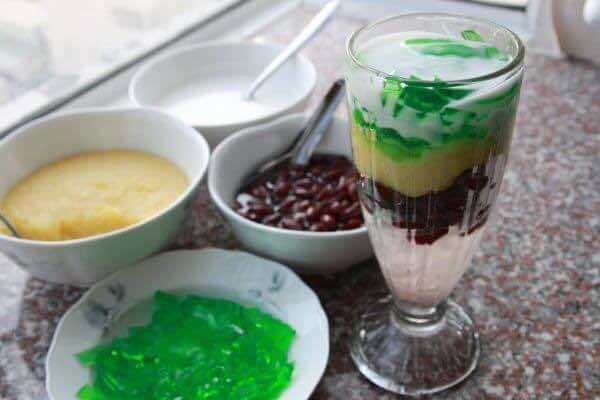 Che, a traditional name for any pudding, dessert soup and beverage in Vietnam, made from kidney beans, mung beans, cassava, taro, tapioca, jelly and much more. 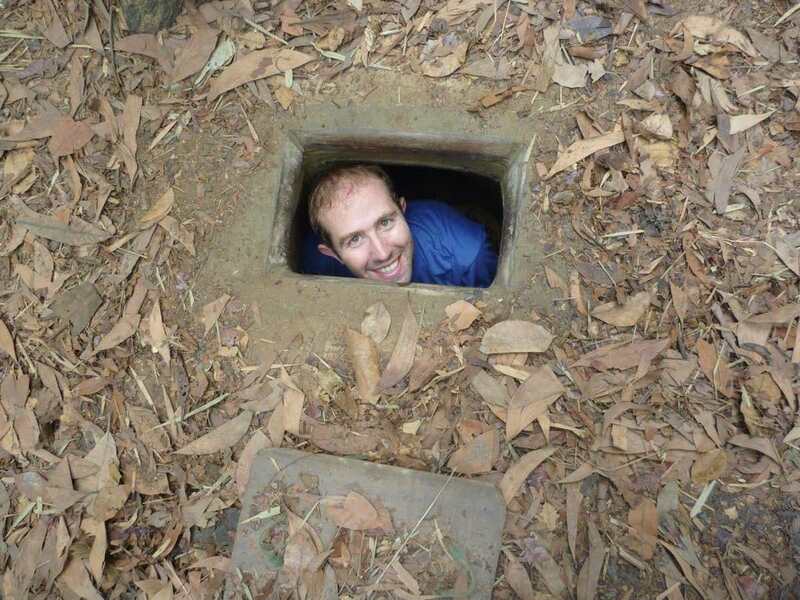 The south of Vietnam has 2 main seasons, rain and dry. Just like fruit, Che is seasonal and exceptional fresh. 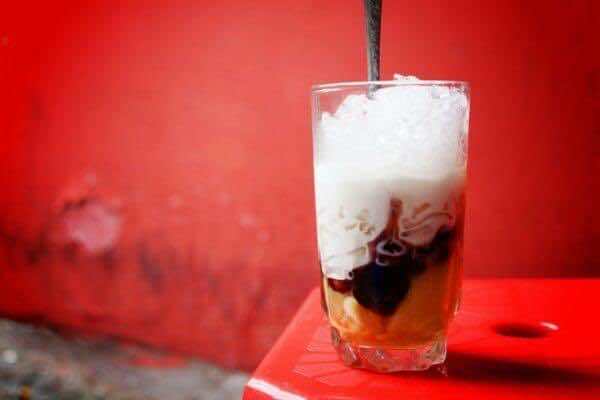 You can enjoy Che either hot or cold, depends on the seasons. Normally, cold sweet soups will be served in see-through glass cups with ice on the side. On the other hand, hot sweet soup is served in small bowls. There is no better way to refresh your body in the middle of a hot summer day than having a cool fresh cup of Che, and warm up your body up with a hot bowl of Vietnamese sweet soup in a freezing winter night. 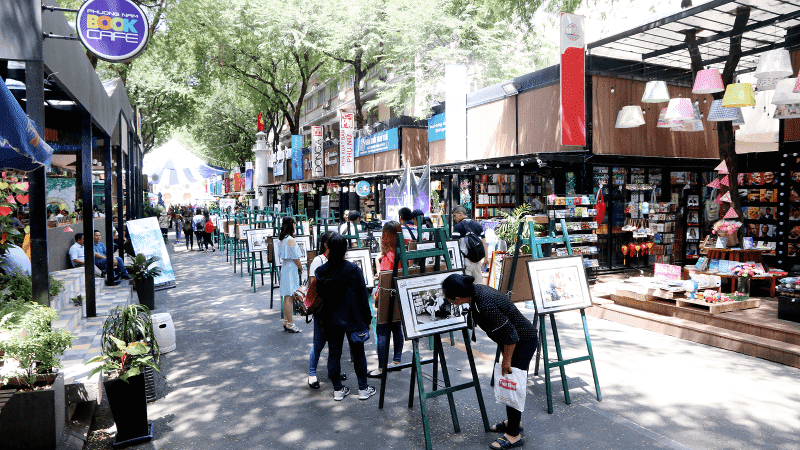 It’s a treat that might be bizarre at first for non-Vietnamese person but there’s no doubt that it will leave you wanting more. Bé Chè – Ben Thanh Market, stall No.1154-1130, District 1, HCMC. 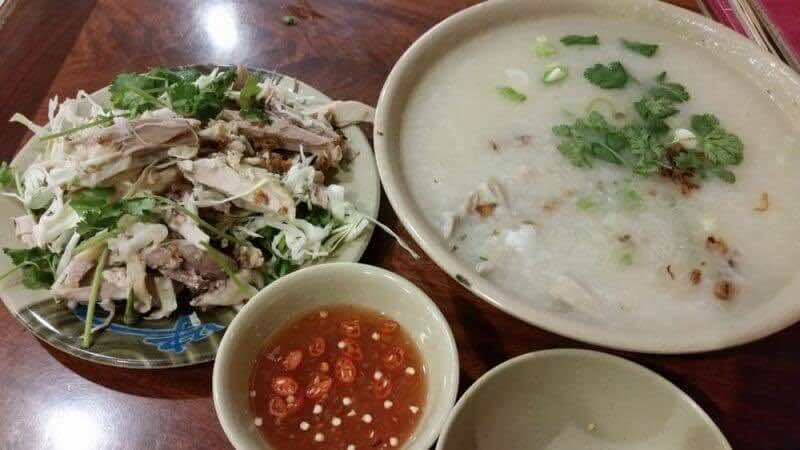 Thạch chè Hiển Khánh – 718 Nguyen Dinh Chieu, Ward 1, District 3, HCMC. 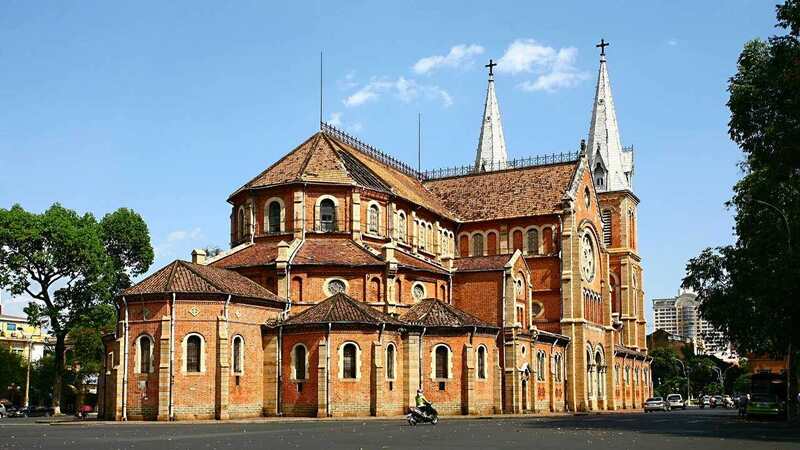 Xôi chè Bùi Thị Xuân – 111 Bui Thi Xuan, Nguyen Cu Trinh Ward, District 1, HCMC. 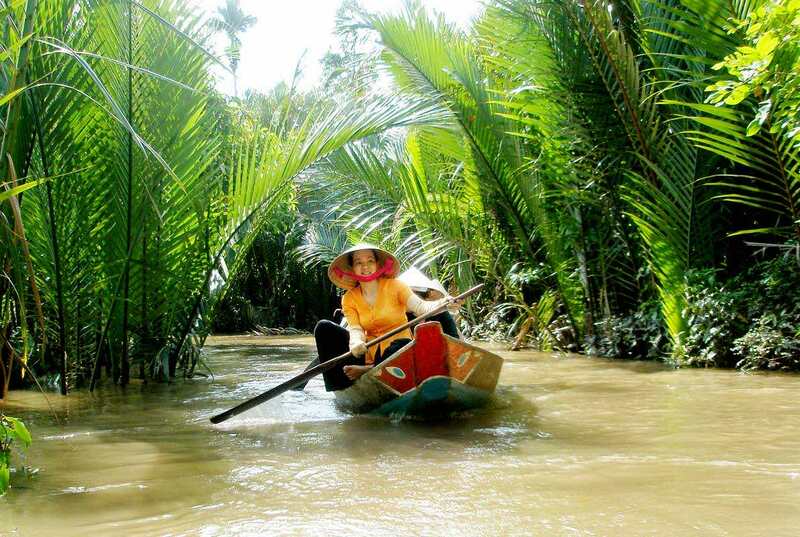 There are a wide range of traditional Vietnamese cakes you shouldn’t miss when you visit the country. Main ingredients of many delicious Western sweet cakes are wheat flour, cheese and butter. 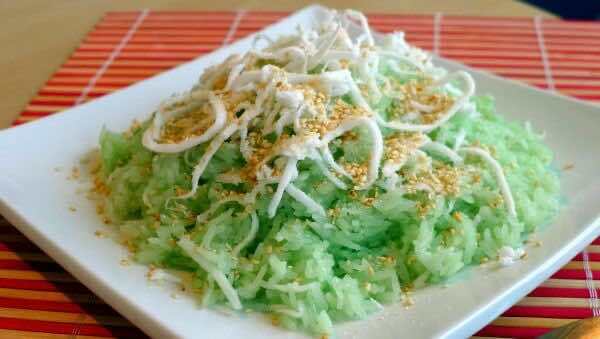 Most of our favorite sweet cakes are made from glutinous rice, rice or rice flour, and coconut cream. 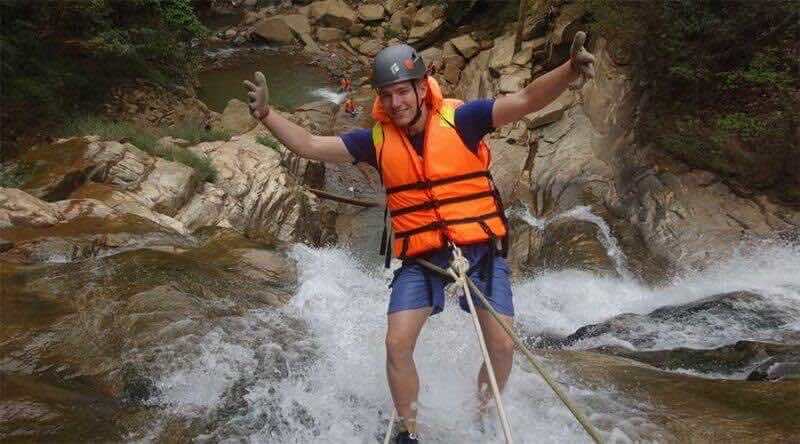 In Vietnam, cakes are not only foods but also gifts in daily life of each Vietnamese person. 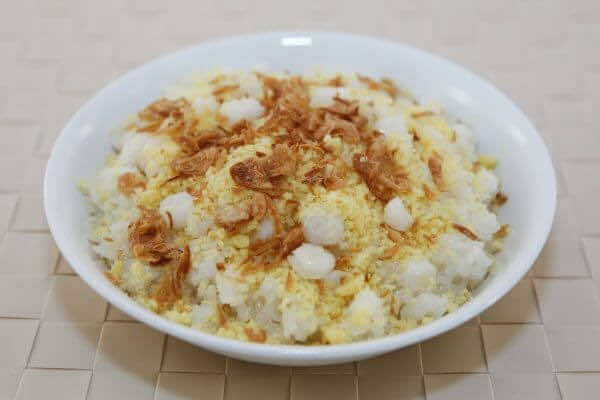 Banh da lon is a steamed layer cake, which includes rice flour, tapioca starch, mashed mung beans, taro (or durian), coconut milk, water and sugar. Its texture is soft, gelatinous and chewy, which explains why it is cheekily referred to “pig skin”. 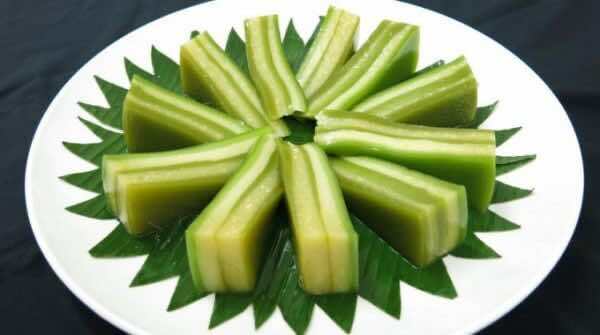 This dessert comes in all shapes and sizes with alternating layers of green and yellow tapioca flour. The savory aroma of coconut, the riches of mashed mung beans and the softness of the cake all mingle together to create a pleasant taste that lingers on your taste buds long after you first bite. 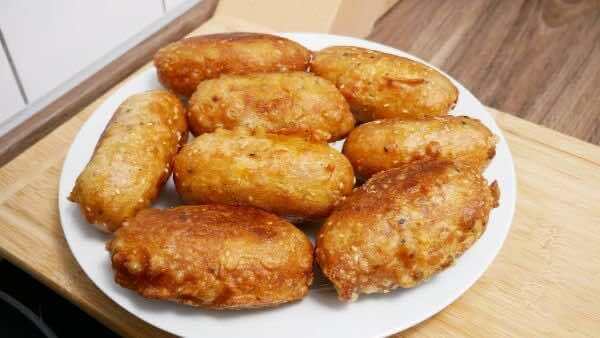 Fried banana is a street snack that is hard to forget. 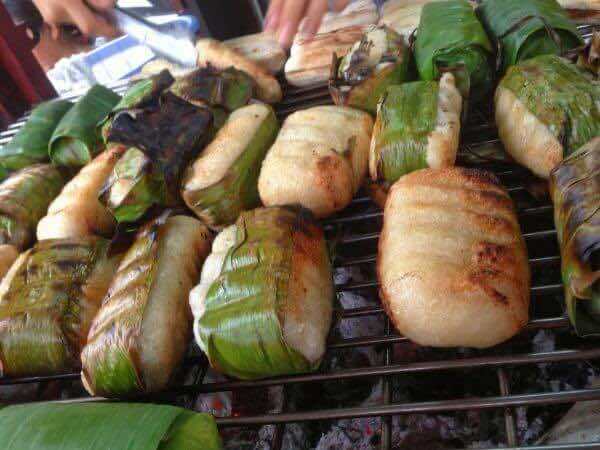 Chuoi chien is a popular Vietnamese dessert recipe made with bananas dipped in a rice flour batter and fried till golden and crispy. As well as these street foods mentioned above, you can find fresh fruits and fruit smoothies everywhere.